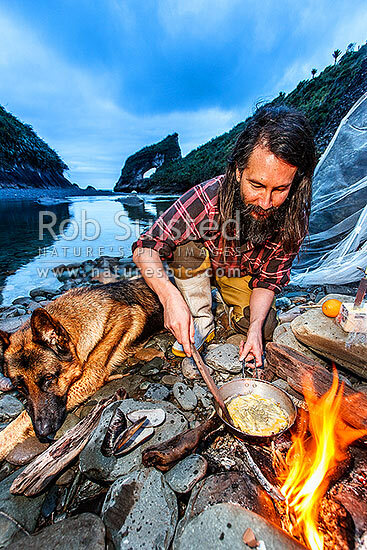 Leon Dalziel cooking up a traditional whitebait pattie streamside on the rugged Buller Coast at dusk. Bud the dog watching on. Whitebaiting scoop net behind, Motukiekie, Buller District, West Coast Region, New Zealand (NZ), stock photo.